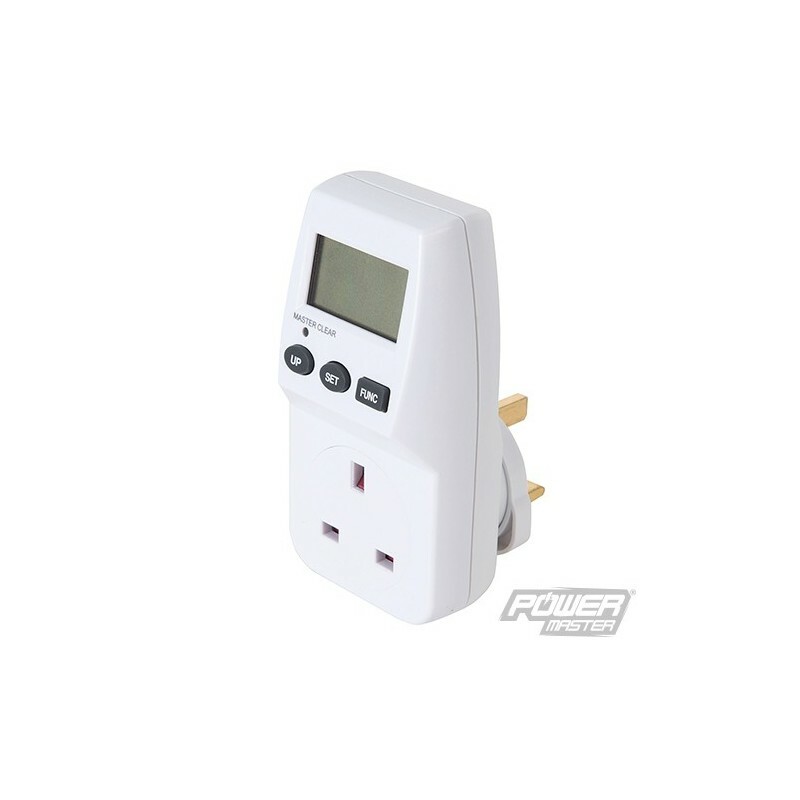 Mains socket plug-in device with easy 3-button operation. 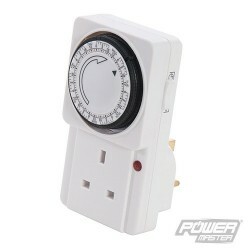 Measures mains voltage and frequency. Monitors power consumption of household appliances by measuring kiloWatts per hour, Watts, Amperes, power factor and energy cost. Large LCD display provides easy-to-read comprehensive data. 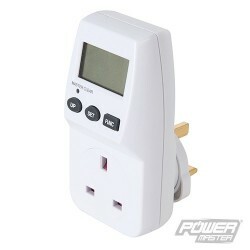 Helps identify inefficient devices to lower power bills and reduce carbon emissions. 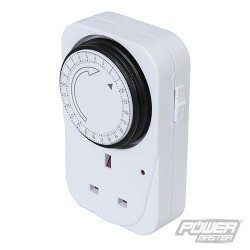 Useful for preventing overload of mains sockets or inverters. Dual tariff mode calculation feature displays cost of energy being used. UK plug.